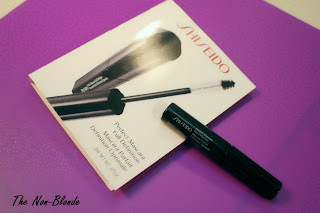 Shiseido products are usually a safe bet for me. I love both Shiseido skincare and makeup, and appreciate the high quality of the textures. 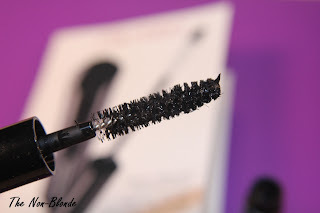 This is why the utter meh-ness of their Perfect Mascara Full Definition took me by surprise. It's been several years since the last time I had a Shiseido mascara (I can't even remember which one it was, probably something long discontinued), and I guess there's a reason for that. No brand excels in everything, so mascara might not be Shiseido's strongest suit. I get it. I didn't like Shiseido Perfect Mascara Full Definition because it did nothing to emphasize and define my lashes. I also didn't see much (or any, really) extra length, and was not impressed with its ability to hold a curl. My lashes are very straight, so their natural decent length is lost without a good mascara. The thin brush (rumored to be excellent for fine short lashes) failed to give mine a good coverage, no matter how many coats I applied. It also clumped pretty badly after two or three layers, making the whole thing a mess with no added benefits. Shiseido Perfect Mascara Full Definition ($24) is available at the counters and from Sephora.com. Both samples I used for this review were a GWP.